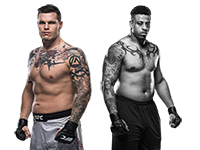 One of the most controversial signings the UFC has made in recent years came late last year when the promotion inked heavyweight Greg Hardy to a free-agent contract. 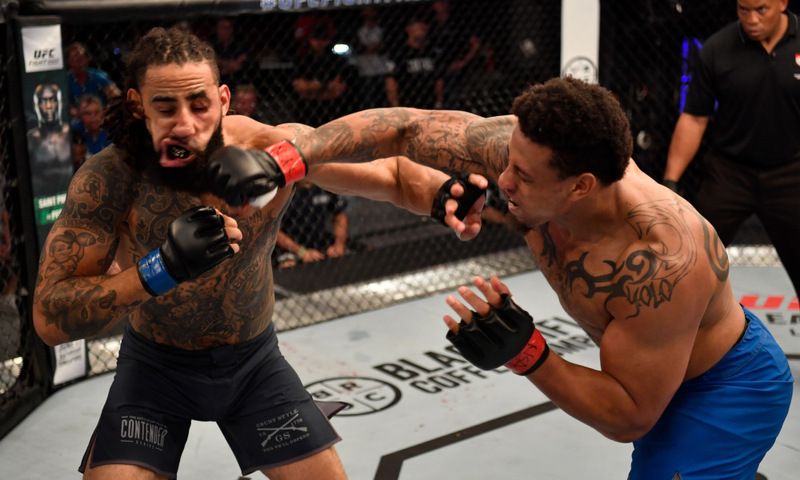 The former NFL defensive lineman is no stranger to controversy, and neither is the UFC, so it should come as no surprise that eyebrows were raised when the UFC signed him. The UFC has received heavy criticism for the signing, and the critics have every right to be upset. But there's no doubt a lot of intrigue here too. Critics of Hardy point to his troubled stint in the NFL, where he was run out of the league due to a domestic violence incident in 2014. A year after being suspended by the NFL, he was out of work, as no one wanted to sign him. Instead of continuing with football, however, Hardy decided to try his hand at mixed martial arts. Then in his late twenties, he made the move to American Top Team and has been training there the last couple of years. In 2017 he made his amateur MMA debut and racked up three first-round knockout wins, then turned pro in 2018 and picked up three more KO wins. Two of those knockouts came on Dana White's Tuesday Night Contender Series, which was more or less an audition for Hardy to show what he had. White was obviously impressed by what he saw from Hardy on the show, and the UFC decided to sign him to a developmental deal. He was allowed to pick up another fight on the Oklahoma regional scene and won that fight by knockout. At that point, the UFC realized it may have competition from other promotions like Bellator MMA or the PFL, and it decided to sign Hardy to a deal despite his limited pro experience. Now 30,he makes his debut this weekend at UFC on ESPN+ 1, taking on Allen Crowder in the co-main event. Critics of the UFC's decision to sign Hardy have largely voiced two complaints. One is that he was signed outright despite his troubled past. That's a fair criticism, although Hardy is not the first fighter on the UFC roster with a previous domestic violence incident. The other complaint is that the UFC put Hardy on a card with Rachael Ostovich, the flyweight who was recently the victim of a domestic violence assault herself. 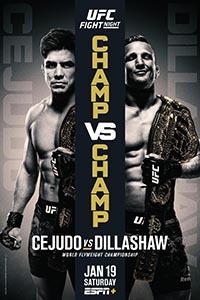 It was short-sighted of the UFC to not think of what fans and media would make of that decision, but White has said Ostovich agreed with the decision to fight on the same card as him. At the end of the day, the UFC believes the potential of Hardy being on the roster outweighs the negatives. And it's hard to blame the UFC for liking what they've seen from him inside the Octagon. Although Hardy is still very unproven in the sport, the potential is obviously there. He is an incredible athlete, he has shown huge knockout power, he's very fast, he's a quick learner, and at 30 he is actually one of the youngest heavyweights in the UFC. He's also a big name in the sports world, and as the UFC begins the ESPN Era it wants to have notable names on its roster. There's no question Hardy has a troubled background, and it's hard to blame anyone who didn't want the UFC to get into the Greg Hardy Business. But from a pure athletic perspective, there's a lot to like about him. He might be the most anticipated heavyweight to make his UFC debut since Brock Lesnar a decade ago. Training at ATT alongside elite heavyweights like Junior dos Santos, Hardy is going to have the opportunity to get better quickly, and that's scary for all the other heavyweights in the UFC. We've perhaps never seen such a wild card in the division since Lesnar all those years ago. 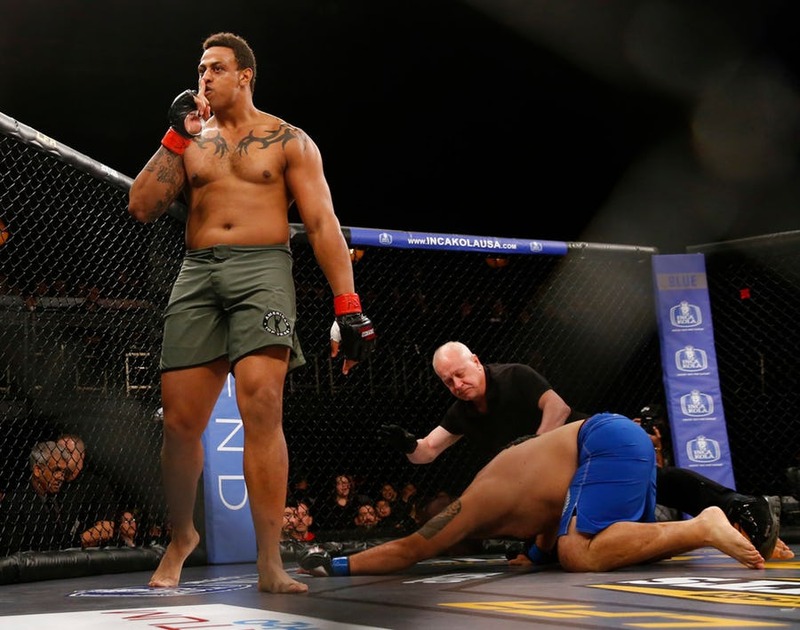 Despite the intrigue, the UFC no doubt took a big risk by signing Greg Hardy. 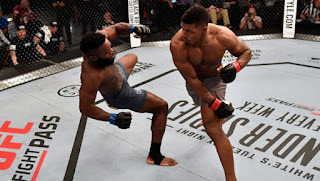 Not only did it have to deal with all the criticism from fans and media, but it also took the risk by signing a fighter with little pro experience to fight the best heavyweights in the world. There's a lot that could go wrong, clearly, and the UFC has to know that. But there's a lot of upside, too, and the UFC decided the potential positives of signing Hardy outweighed all of the negatives. It remains to be seen whether the UFC made the right call, or if it should have passed on bringing him in altogether. But regardless of his past, Hardy is a very intriguing prospect, and his inclusion on the first ESPN card is going to draw a lot of eyeballs. Ultimately, the almighty dollar is the only thing that matters to the UFC, and Hardy has the potential to be a big star for the promotion if he can keep winning fights and knocking people out.